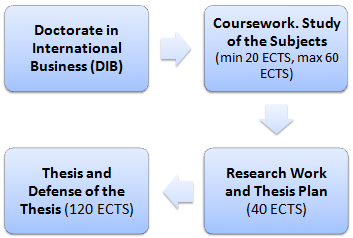 Students are required to take a range of courses of the doctorate. Doctoral Students must perform a training activity (training complement) consisting of some subjects defined according to their previous studies and the selected research area. Doctorate Supervisor determines the complementary training according to the field of investigation. Doctoral Students can choose the subjects from those offered by EENI Business School & HA University with a minimum of 20 ECTS and a maximum of 60 ECTS.